Stanley Furniture is one of the best furniture brands on the market today, and has a rich history of family-designed products. They are regarded by many as setting the bar for quality designs, and continue to impress each year. Stanley Furniture has been in business since 1924, and in that type they’ve learned the art of furniture design and manufacturing quite well. Priced for the larger markets, Stanley furniture is found throughout the United States as a cornerstone brand in many local retail stores. Stanley’s level of quality and trust in the marketplace has helped them become one of the biggest and best furniture brands in the world, and they continue without any signs of stopping. 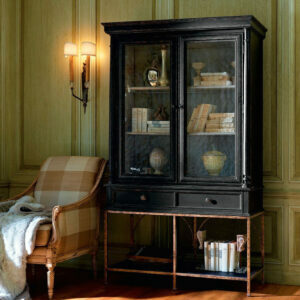 Despite their historic roots, Stanley Furniture designs for the times, and offers a wide selection of very contemporary styles throughout their catalog. 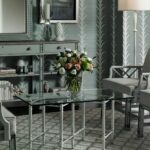 If you’re in the market for quality furniture and want to buy from a brand trusted for over a hundred years to deliver quality and style; Stanley Furniture may be you new favorite brand. Stanley furniture has it’s roots deeply founded in the American traditional furniture styles, having made their name through the small family operation started in Virginia, in 1924. It’s founder, Thomas Stanley, later went on to become the Governor of The Commonwealth of Virginia and led an illustrious political career mingling with the likes of Kings and Queens. Stanley’s deep and aristocratic roots paint the context for the intricacies of Stanley’s designs and the esteemed quality exuded by every piece within their collection. The current Stanley furniture catalog is full of traditionally-inspired designs that resonate deeply with current market trends. There are no ultra-glam presentations of hopeful unveiling but, rather, a harmonious survey of timeless neutral tones, richly-textured fabrics, and the most essential of design features. 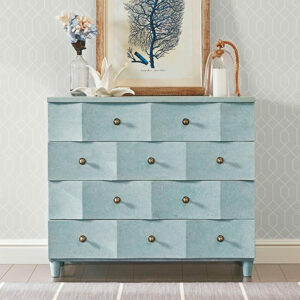 While Stanley Furniture isn’t cheap, you’ll be surprised to find just how affordable many of their pieces truly are! Through strategic material sourcing and a mastery of commercial furniture manufacturing, Stanley’s nearly 100 years of experience within the furniture industry has lead to their ability to execute on designs in ways few other companies can. Stanley furniture can source artisan finishes and luxurious upholstery to compliment their designs, while operating in such as manner as to allow affordability to regular consumers. An excellent example of Stanley’s showcasing of traditionally-inspired designs for the modern furniture market can be seen in their Arrondissement platform bed. It’s almost delicate carvings attenuate the overall presence of this piece, and Stanley’s use of a weathered cinnamon pine help frame this eccentric bed as a timeless design. Stanley Furniture is priced similarly to many mid-ranged brands on the market today, but their experience has allowed them to offer products that will last a lifetime—likely handed down through future generations. Stanley offers a tremendous catalog of contemporary and traditional furniture styles, but certainly haven’t limited themselves to just those markets. In addition, Stanley has developed several very popular Coastal collections, such as their Coastal Living Collection which features bold ocean colors and beautiful louvered styles. By contrast, the Stanley Avalon Heights Collection is a contemporary collection with strong undertones of traditional inspiration see both in it’s cathedraled veneering and carved features. Honestly, it’s likely an avid debate in many designers offices to whether the Avalon Heights collection is contemporary or traditional—that’s how well Stanley Furniture is able to use their historic awareness of styles to help support modern designs. In addition to these collection, Stanley offers a countless many other products and many more collections that cater to nearly every combination of colors and functions. Many of their more traditionally-inspired pieces have modern neutral tones which allow them to interplay with one another very well, allowing for a very harmonious feel even between different collections. In addition to the robust catalog, Stanley also operates a brand named Stone & Leigh, which is focused heavily on youth and kids furniture. Stanley’s years of expertise clearly play a tremendous role in the development of Stone & Leigh products, and you’ll be hard-pressed to find a better feature of youth furniture anywhere else on the market. The Stone & Leight Driftwood Collection is comprised of some of the most timeless designs seen on youth furniture, and features an almost reclaimed oak looking wood to compliment it’s historic roots. This contemporary youth furniture is offered within a very affordable range and, honestly, would be well-suited in rooms of any age. Stanley isn’t your average furniture company, and their ability to design, manufacture, and bring to market exemplary designs is tremendous. In an economy where many manufacturers seek the path of least resistance, Stanley has stood the test of time. Their historic knowledge of furniture trends, and astute manufacturing ability afford them a much-earned consideration among the world’s best furniture brands. Stanley Furniture is a wildly-popular brand, and having been around as long as they have—many local stores feature several of their products. As with most furniture however, you’ll likely only see a small sample of the products Stanley has to offer in local stores—and if you do find what you’re looking for it’ll likely cost you an extra 40%. The internet has been kind to us weary consumers, and furniture in particular has seen a tremendous surge in online sales in recent years. Wayfair, arguably the largest online retailer of Home Goods and Furniture, has been seeing yearly revenue increases of 60%+ for the past several years 1. This kind of growth has come in a time where most brick and mortar brands have seen no change. Clearly, people are wising up to the obscene added costs of buying furniture from middle men when online retailers can offer such tremendous savings. Stanley Furniture is available for purchase through several online retailers, and has many of there products and collection featured on Wayfair. 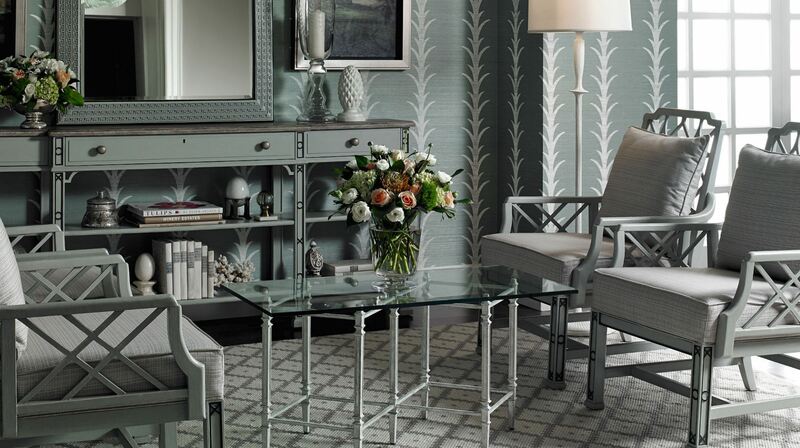 Stanley Furniture offers a truly masterful offering of sophisticated furniture that draws from their many years operating within the furniture industry. This company has seen many styles and trends come and go over the years, and are well-aware of what it takes to remain relevant in modern markets. Stanley furniture clearly uses their astute historical mastery of traditional furniture styles to help establish a stylistic foundation to ensure their furniture remains timeless and sought after. They deploy a very tactful use of neutral tones and contemporary materials on many of their products, though show they aren’t afraid to commit to a fully-traditional style either. Their operation of brands such as Stone & Leigh has allowed them to harness the power of their manufacturing know-how to help produce remarkable kids and youth furniture as well. These products are among the best found on the furniture market today, and with online prices being as affordable as they are, you’ll likely fall in love as soon as you start browsing through the Stanley catalog. 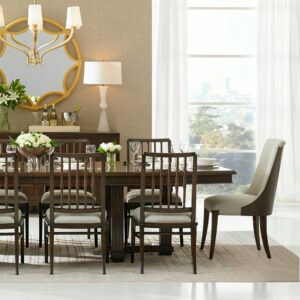 Stanley Furniture is a well-established brand having operated successfully for nearly 100 years. They've helped pioneer the American traditional furniture style over the years, and tactfully deploy their experience with such styles into contemporary designs suitable for the modern world.